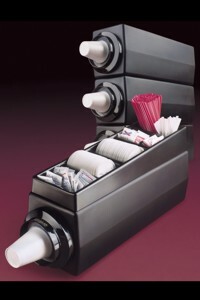 The Simpli-Flex® 2100 Molded Cabinet includes one Simpli-Flex 2000 cup dispenser. This unit is durable - molded of heavy-duty high impact plastic. 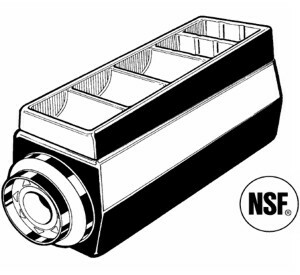 This stackable cabinet is great for multiple dispensing applications. Optional top condiment and lid organizer is sold separately, complete with five compartments and four adjustable spacers.